NO Poo Shampoo?! 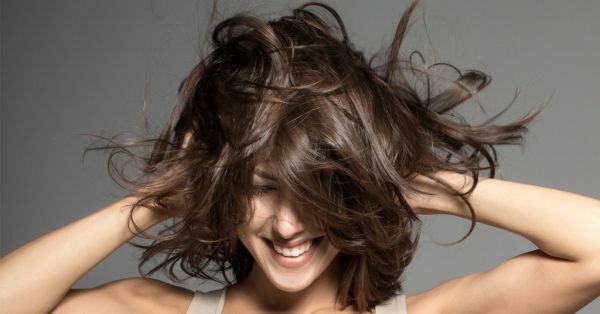 Yes, It Might Be The Best Way To Healthy Hair! Did you know that shampoo was used only after the 1930’s? And before that, everyone relied on the no poo shampoo method. To go NoPoo is to stop using shampoo. It is a healthy, all natural way to clean your scalp and condition your hair using organic ingredients like baking soda and apple cider vinegar. This works wonders for your hair because it works with the oil your hair naturally produces (just FYI: shampoo works against those oils!). What’s more? The all natural ingredients you need are probably already in your kitchen! Your Next Question Would Be Why? Why Should You Do This? There are many reasons why you should stop using shampoo. It is expensive. Think of all the money you’d save through the year on shampoos and conditioners (read more shopping!). Most shampoos are loaded with chemicals and parabens that irritate your scalp and hair. It upsets the natural balance of your scalp and causes it to produce more oil than necessary. It may lead to hair fall, frizziness, dull and dry hair. NoPoo restores the natural balance of your hair and scalp. You need to buy fewer products and you can go longer between washes. Baking soda removes odor and oil from the roots, helps to exfoliate the scalp and the apple cider vinegar clarifies, softens, and gives strands a lustrous shine. Invest in some good quality baking soda and apple cider vinegar. 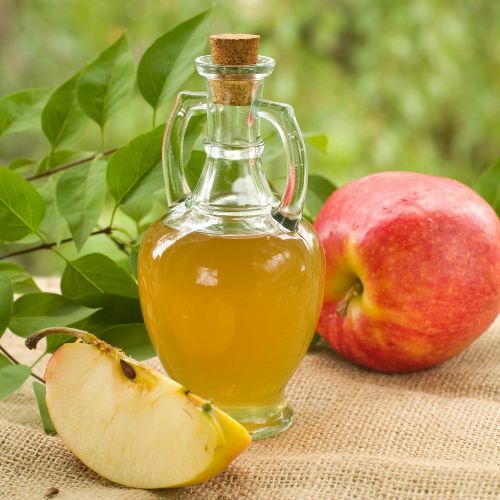 You need the regular kind of apple cider vinegar (ACV). Baking soda plays the role of the shampoo i.e. hair cleanser and (ACV) becomes your rinse conditioner. You can pre mix the two separately and store it in your bathroom for easy usability. We recommend that you pick 2 good quality glass bottles (1ltr.) One bottle will serve as your rinse and the other as your conditioner. Use the following measurements for your cleanser and conditioner: Baking Soda Cleanser: 1/4th cup baking soda (1-2 tbsp cup of water) 1 litre of water ACV Rinse: 2 tbsp apple cider vinegar 1 cup water You can use the baking soda as a paste – mix it with little water on the palm of your hand and rub this mixture into your scalp. Or you could even dilute it with 1 cup of water. Let this mixture sit in your hair for a minute or two and rinse thoroughly. Follow it up by pouring the ACV rinse in your hair, let that sit for a minute or two and rinse again. Natural, nourished, healthy, soft, shiny AND longer hair! Can You Use Regular Shampoo While On The No Poo Method? Or If You’Re At The Salon Getting A Haircut? You can, but it would be best if you don’t. The NoPoo method works on restoring the natural balance of your scalp. The moment you use shampoo, it is essentially stripping off the natural balance that the NoPoo method created. At the salon, ask for a sulphate-free shampoo. Although this shouldn’t hamper your progress too much, it will strip your hair of all its natural oils. Spritz some vinegar rinse into the lengths of your hair once you’re through and you should be fine. How Long Can You Do This For? You can do this for the rest of your life! There are no side effects to this method. It is unarguably the best way to naturally wash and condition your hair. There is however a ‘transition’ period. 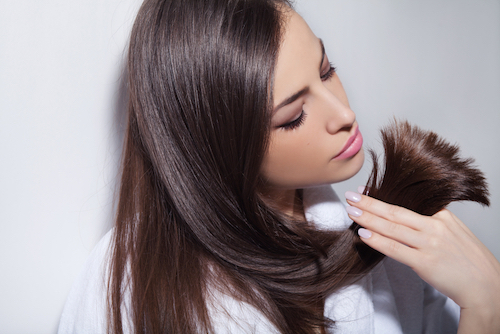 This transition could last anywhere between 1 to 6 weeks, depending on your hair. For the first couple of washes, your hair and scalp will feel squeaky clean. However, with the next couple of washes your hair can get greasy, limp and frizzy. Don’t worry, this is normal and happens to some people. This means that your body is gradually adjusting to produce just enough oil to keep your hair healthy. This method is to be used only if you have access to SOFT water, HARD water will not work. Measure the baking soda correctly, if your hair is greasy you will need more and vice versa. Not using the right measurement will lead to dry maybe oily hair. Condition your hair with the ACV rinse after using the baking soda mixture, as sometimes it can leave your hair a bit dry. If your ends get extremely dry – use a few drops of coconut, jojoba, argan or moroccan oil and run it through the ends. Don’t oil your entire head though; it is nearly impossible to take off oil without using shampoo. If your roots get excessively oily, sprinkle some baby powder/ baking soda/ cornstarch/ cocoa powder and let it sit for 5 minutes and brush off. These work wonders in soaking up the excess oil. For women with freshly treated or colored hair, baking soda may cause the treated hair to become very dry, we recommend giving this method a skip altogether and stick to sulphate-free shampoos. Most importantly, BE PATIENT. This method takes time to work. For some people it starts to work instantly and for some it takes a few weeks of transition. Promise, it will be worth it! During your transition period, you may not be able to style your hair – people have experienced having little or no luck trying to curl their hair during this phase. Images: Shutterstock MUST-READ: 17 Fab Organic Shampoos That WILL Make Your Hair Feel Softer! MUST-READ: Unwashed Hair? 8 Super Quick Fixes For The Lazy Girl!